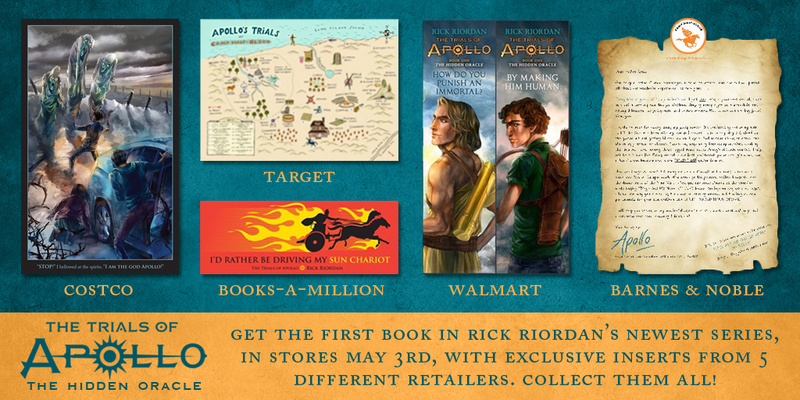 ‘The Trials of Apollo’ Giveaway: Win Rick Riordan’s new book! Rick Riordan fans gear up! Our favorite demigods are back, new demigods will be introduced, and we’re finally getting a series from the point of view of a God himself! Read about The Trials of Apollo and enter the giveaway to win a copy of the first book “The Hidden Oracle” below. This post is brought to you in partnership with Disney-Hyperion. New series from #1 New York Times bestselling author Rick Riordan. 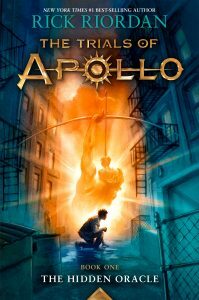 But Apollo has many enemies—gods, monsters, and mortals who would love to see the former Olympian permanently destroyed. Apollo needs help, and he can think of only one place to go . . . an enclave of modern demigods known as Camp Half-Blood. The Hidden Oracle released five retail-specific editions. Each edition includes a unique insert that you can get exclusively from that retailer. Collect them all! Barnes & Noble Exclusive Edition includes a Camp Half-Blood letter from Apollo to Zeus! 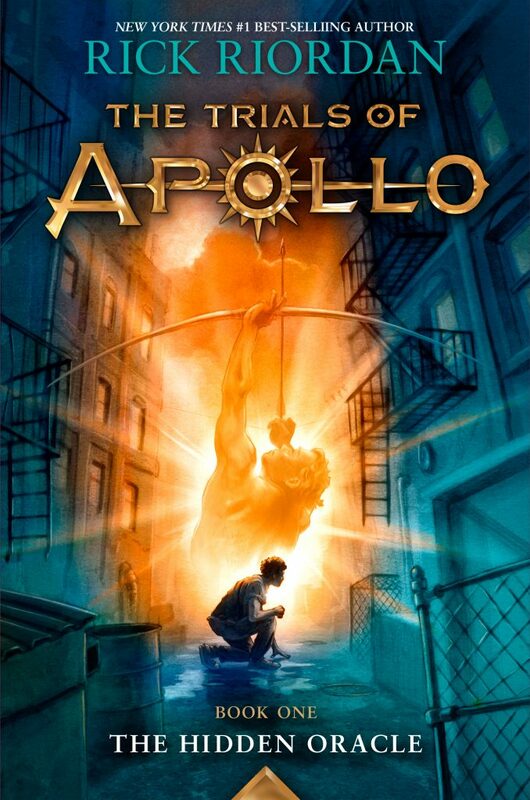 Walmart Exclusive Edition includes a 2-sided bookmark with character art of Apollo and his mortal counterpart, Lester. Rick Riordan, dubbed “Storyteller of the Gods” by Publishers Weekly, is the author of three #1 New York Times best-selling middle grade series with millions of copies sold throughout the world: Percy Jackson and the Olympians, based on Greek mythology; the Kane Chronicles, based on Ancient Egyptian mythology; and the Heroes of Olympus, based on Greek and Roman mythology. Rick collaborated with illustrator John Rocco on two best-selling collections of Greek myths for the whole family: Percy Jackson’s Greek Gods and Percy Jackson’s Greek Heroes. The first book in his Magnus Chase and the Gods of Asgard trilogy based on Norse mythology, The Sword of Summer, also debuted at #1 on the New York Times list. Rick lives in Boston, Massachusetts with his wife and two sons. Follow him on Twitter at @camphalfblood. One of the exclusive editions of The Hidden Oracle with a surprise insert! How do you enter to win? Enter your name and email in the Rafflecopter application below. Rafflecopter is an application that randomly selects winners. Once you submit your information, it will ask you to complete some tasks. The tasks include tweeting about the sweepstakes, liking “The Young Folks” on Facebook, etc. Just remember that every time you complete a task, you increase your chance of winning! Come back every day to gain more entries. The contest ends on May 16th at 12:01am EST. Winners will be contacted via email. Good luck! The Hidden Oracle by Rick Riordan is now available in stores. Previous ArticleQueens Landing Episode 3: Game of Thrones 6x3 "Oathbreaker"
Next ArticleInterview: We Chat with CAPTAIN AMERICA: CIVIL WAR Star Anthony Mackie!